Happy Negroni Week, for those of you sober enough to remember there was a reason you started drinking nothing but Negroni’s on Monday! Negroni Week launched in 2013 as a celebration of one of the world’s great cocktails and an effort to raise money for charitable causes around the world. From 2013 to 2014, Negroni Week grew from more than 100 participating bars to more than 1,300 participating bars around the world and more than $120,000 raised for charities. In 2015, Negroni Week will take place from June 1-7, when once again, bars around the world will mix their favorite Negroni variations and donating a portion of proceeds from each one sold to a charity of their choice. Participating bars/restaurants are solely responsible for making donations to their chosen charities. Negroni Week donations are made directly by the participating bars/restaurants to their charity of choice. Our Twitter, Facebook, and Instagram feed has been lit up all week with some amazing concoctions based on one of our favorite classics. The idea is simple – you focus on the three base ingredients of a Negroni – Campari, gin, vermouth. In typical Cockatils, 365 style we fucked it up and put rye in there. 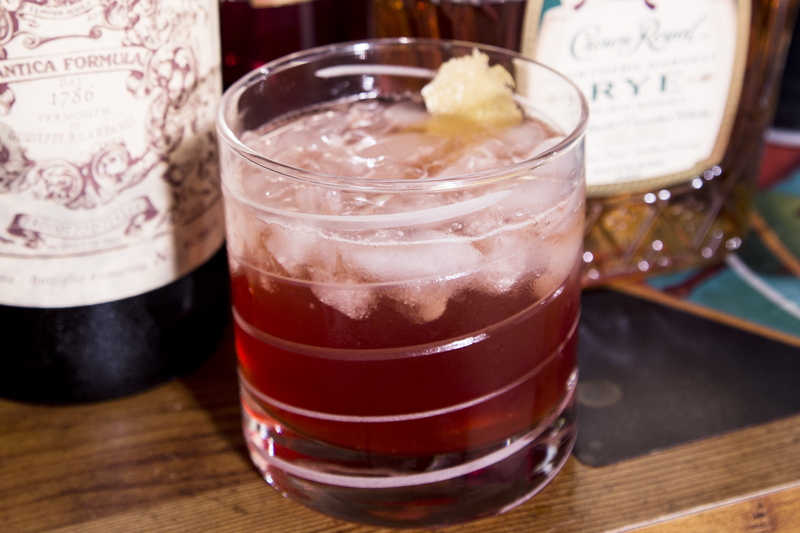 Fill a rocks glass with crushed ice and then add the juice, rye, vermouth, and Campari. Top two splashes of mineral water. Stir and garnish with a lemon swath. Spicy, bitter, and oh so wonderfully sweet, the Ryegroni skews more savory than the traditional Negroni, but is just as refreshing and balanced.